Could my hobby be yours? For me, one of the most satisfying hobbies I’ve had for decades is canning foods. Before the preservation technique of freezing began to dominate in the fifties, I watched both my grandmother and mother preserve garden produce in glass jars. In fact, my grandmother had a space dug out into the hillside behind her home in rural east Tennessee that she referred to as the “dairy”. 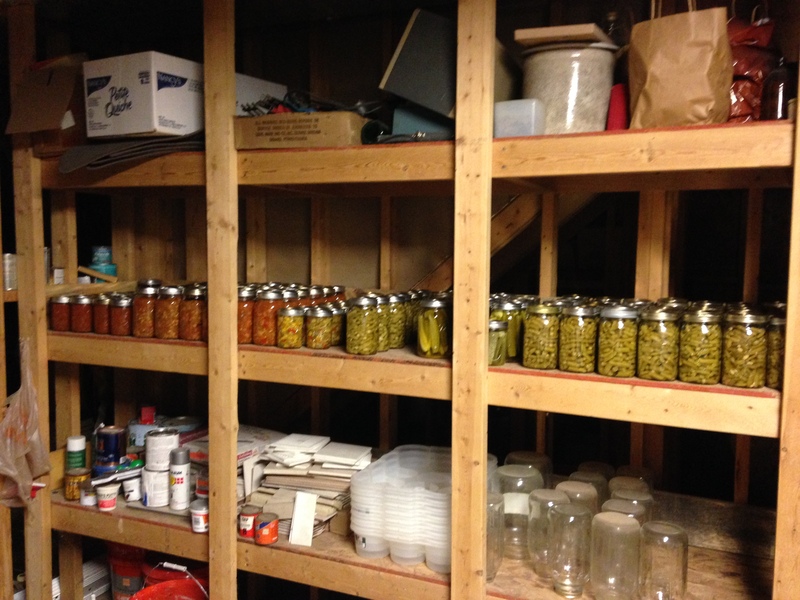 There she stored her home canned products. A smokehouse had been built directly overhead which helped to ensure the cooling qualities of the space below. Before refrigeration was available, that room beneath the smokehouse had been used for storage of milk and butter produced by the cow my grandmother kept. I still recall the dank, mysterious feel of her dairy that was counter-balanced by the refreshingly steady, cool temperature of that relatively small space. Thus, the seeds of food preservation were sown in me at a young age. I learned that the stocking of canned goods represented insurance you could eat. By my late teens, I had achieved a personal goal of making a multitude of jellies and jams and won awards for them at the county fair. I gradually realized that adding five cups of sugar to just about anything (although I never attempted shoe leather) practically guarantees something tasty. As verification to the spectrum of things that may be used in those sweetened products, I have seen the rather strange results of other jelly makers which involved kudzu or corncobs or hot peppers, etc. Regardless of the plant matter involved, cooking odors (particularly those involving cider vinegar!) wafting through the house as part of the preparation are heady aromas guaranteed to arouse the dullest of senses. 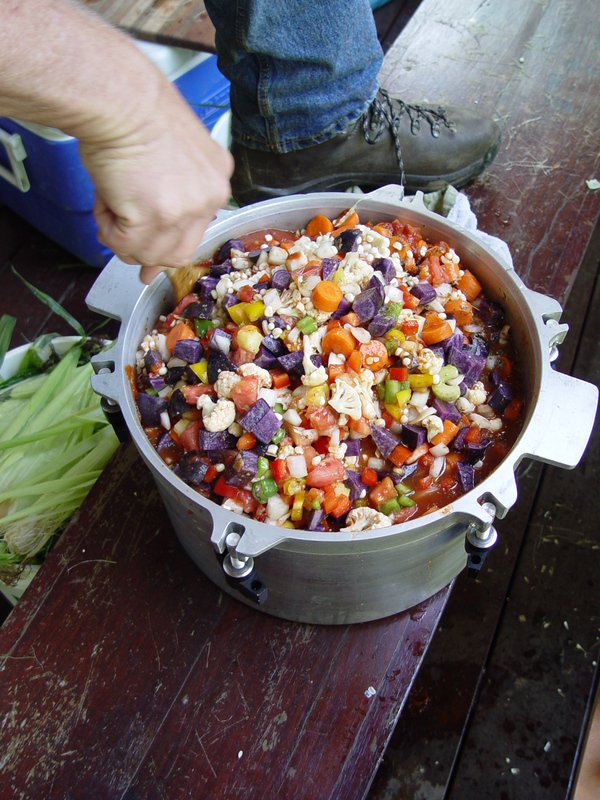 Suffice to say, that the various combinations of veggies, including their colors and fragrances, are immensely satisfying elements of the canning process. I’m not sure if I qualify as a throwback or not, but I do admittedly prefer canoeing over motor boating, football over soccer, and using a push mower over the self-propelled versions. Although I have heard that there is resurgence in interest in putting food by, those numbers may just represent myself and two other ninety five year olds in the Southeast. Canning takes time, patience, and effort, characteristics which seem to be in short supply in our instant gratification age. However, my experience is that canning, like canoeing, is a paced endeavor; one which weaves enjoyment, and not speed, throughout the process. To possibly discourage anyone who might consider undertaking this as a hobby, I should point out that canning foods is a lot like fishing. That is, you simply don’t want to measure the results against your contribution of time and dollars. A home gardener will never be able to economically compete with a mechanized farm operation and the efficiency of a modern canning factory. However, the return on investment for the home canner is represented by an emotional satisfaction that is superior to putting money in the bank. For one thing, money doesn’t taste right even with Thousand Island dressing globbed all over it. For myself, I find the progressive efforts of starting vegetables from seed, growing them, and then preserving a portion of my harvest to be incredibly rewarding. And, certainly not to denigrate what is found on the shelves of Kroger or Publix, I know what went into the production of those lovely, healthful vegetables. Additionally, I find it almost painful to even consider throwing away leftovers as I clearly understand how much care and work are involved to get food from seed to mouth. Assisted by friends and family, my annual harvest yields several hundred glistening jars of vegetables and fruits in our basement. And that touches upon another very significant benefit of canning: the social aspect. Largely out of favor now, it used to be common for local governments to provide equipped kitchens where generations could gather and assist one another with the enjoyable, yet time-consuming task of food storage. I find it gratifyingly soulful to sit with a companion, chat, and prepare vegetables for preservation. 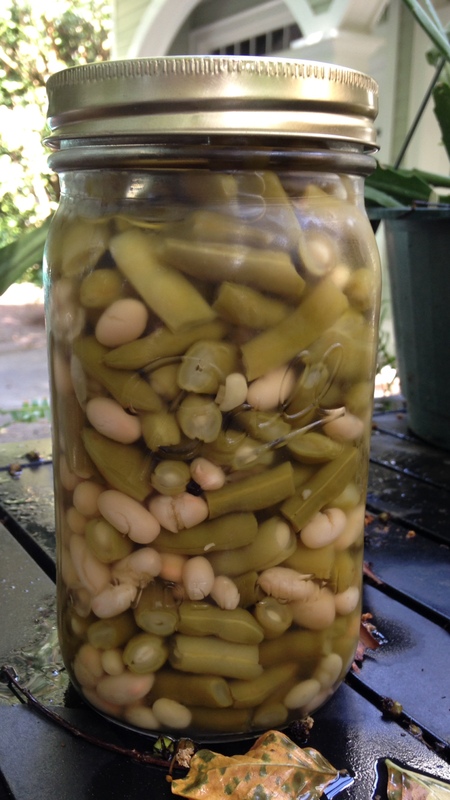 Variously known as “breaking up”, “popping”, or “shelling”, my favorite activity is getting green beans ready for canning while sitting on the porch of our cabin. No one watches the clock. There wind chimes make their soft background music and whirring hummingbirds vie for position at their feeders. When the occasional beans emerge from an over-ripe pod, they are described as “shellies” or “hull-outs”. I agree with my grandmother’s long ago observation that those shellies are a pleasing aesthetic addition to the green majority of beans being placed into the jar. Another of my favorite things to ‘put up’ is vegetable soup. The assortment of colorful produce involved shouts healthy with a stronger voice than the Jolly Green Giant can bellow “Ho-ho-ho!” Due to the amounts of veggies involved and the relatively long processing time (ninety minutes at 10lbs. pressure), it generally takes the better part of a day to make a run of fourteen quarts or so. Yet the hours invested yield time savings later in the winter when those jars are opened, heated up, and eaten. And, there is no tastier and better base for simple additions (pasta, meats, and serving with, my favorite, cornbread) to the meal when those cooler days arrive. Of course, it is just fine consumed without further embellishment. This forum is not adequate for addressing the relatively simple techniques of canning. However, if you are truly interested, I would suggest the Ball Blue Book, Guide to Preserving, as a starter guide. There are many, many good books and pamphlets on food preservation, but that particular bible solidly explains the basic techniques and equipment involved in addition to offering dozens of worthwhile recipes. Like many other endeavors, canning confidence comes with repetition. One piece of free advice: stick to using wide mouth jars except, perhaps, for jam and jelly making. Keep your technique clean and as sterile as possible, while remembering another one of my grandmother’s sayings: “You gotta eat a peck* of dirt before you die!” Before she passed, I neglected to ask her if that was a minimum or if once you hit that amount you were a goner. Regardless, I take great comfort in knowing that what I eat involves the good earth and also ends up circulating in my veins. *Essentially out of use now as a description of volume, a peck is equivalent to eight dry quarts or one-fourth of a bushel. If you don’t know what a bushel is, Google it!